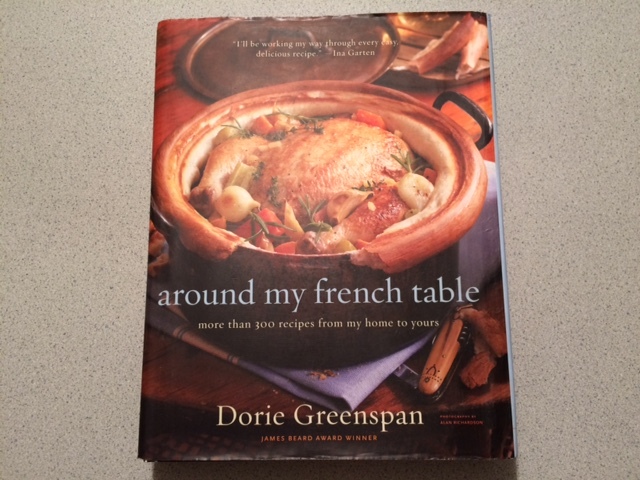 Posted on 19 June 2015, in French Fridays with Dorie and tagged French Fridays with Dorie. Bookmark the permalink. 22 Comments. Betsy – first and foremost, thank you! Thank you for stepping in to take on an organizational role in this group. As a professional project manager I know that it’s often far more work that it appears on the surface to keep everything running smoothly and you and Mary have done an amazing job. I have so enjoyed getting to know you through your blog over the past 4 years and I hope one day to do it in person. Your kindness and down to earth style shines through every post. It has truly been a joy cooking along with you and I hope to do it again in the future. I also echo Rose’s Thank you! You and Mary have done an amazing job keeping our little group on track!! I loved your post, Betsy! 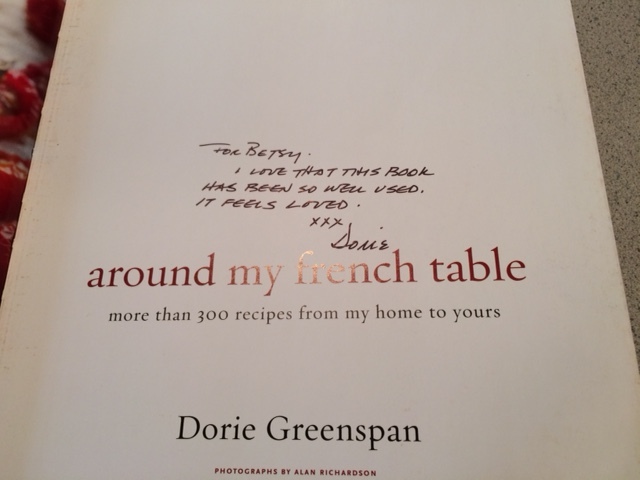 And I must say your cookbook collection definitely mirrors mine…I am sure you will find a recipe, or two to blog about in the future! I will be following you! It has been an amazing ride! So grateful that I got to meet you in Seattle and again in NY. You are a delightful, warm and lovely women!! And anytime you are driving through NJ, you have a place to stop! Hugs and Happy Friday…but not good-bye! I remember being so frustrated way back when, after committing to this project, that things looked like they were going to run aground before we really had a chance to take off. I am forever grateful to you for stepping up to keep our wheels on track. Its funny, but in all this time I never stopped to think that your banner picture was your real cookbook shelf! Duh. I love that! A fitting day to realize this I suppose as we all must now cast about after wondering what are we going to make for dinner now? I understand you are now done? A diploma is in order! Betsy, it has been such a delight to follow your journey, and these final four weeks. So touching. What a wonderful way to make friends. Thanks for providing those of us on the observation deck a really fun insight! Love your 75% cookbook collection. Betsy, well said! A big thankyou to you for keeping us going when Laurie had to step away. It has been a pleasure cooking along with you, and it was wonderful to meet you – a perfect experience for the end of this journey. I look forward to seeing where you take it from here! Oh, Betsy, what a wonderfully written last post. It has been my good fortune to have teamed up with you to carry on the FFWD administrative responsibilities. I will always be grateful to Laurie for letting the two of us team up. And, I am also want to thank you again for your “cookbook” you sent me as well as the Rocky Mountain trees and animal booklets. Your “Main Dishes” are my favorite – all new to me and I’ve tried two already. Those nature books are gems and I carry them in my pack. And, yes, they do belong back here with me. I look forward to our taking on a few presidents and our October adventure together. Friends forever, no doubt about that. Betsy, thank YOU for taking on the admin with Mary. We couldn’t have done this without you. So lucky to have met you in real life and I hope our paths cross again soon. Betsy, words escape me. This really has been an excellent adventure! I started my blog for the express purpose of taking on this project,and as you say, ffwd became so much more than just a cooking challenge! Your hard work and dedication have not gone unnoticed! As others have mentioned, we would have fizzled out long ago if your collaboration with Mary, and Laurie’s assistance, hadn’t come to our rescue. Your gentle and constant shepherding has kept us going. Thank you my friend. And. Of course. This is not the end, but the commencement of the next chapter. It will be fun to see where it takes everyone, and I hope that the “crew” will stick together as we figure things out with the Alumni page on FB that you generously set up, or following each other on line. I have great hopes of getting out to see you. Just tricky to get all of the stars aligned. Hope you and Howard have a wonderful weekend. Can’t wait to see what you “cook up” next! I can’t tell you how wonderful it has been to follow your cooking and get to share a table with you. You were very kind to do so much for this group…we were a bunch of stranges and thanks to your efforts we are now a bunch of friends. 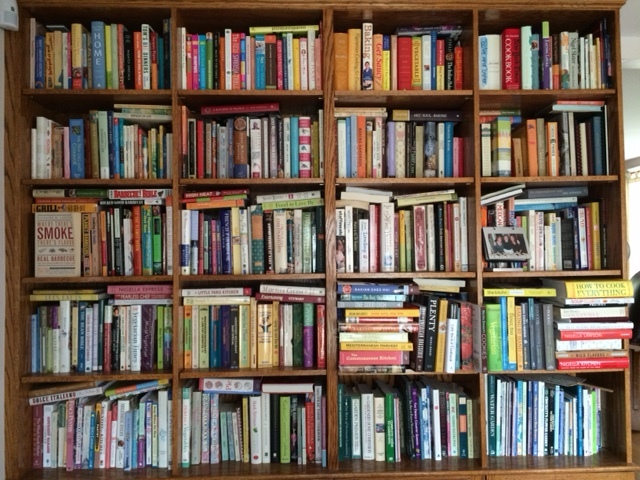 So which cookbook on that shelf (I never realized it was your actual shelf of cookbooks either) are you going to cook through next… I think you have a lifetime’s worth of recipes? After reading all the posts this week it is amazing how this project helped so many people. I think it was an amazing journey and I don’t know if it could ever be repeated the same way. Dear Betsy, one thing is for sure – none of us would be where we are, if it were not for you and Mary – we all owe you more than one big fat hug for having guided us all through the last couple of years – personally, I am not so sure that things would have turned out the way they did, if the two of you had not jumped in…be that as it may, you have been one of my favorite bloggers (by now I think I am aloowed to write that) all those years and I have so enjoyed getting to know you (and Howard) through this lovely cooking adventure – I am so looking forward to sharing recipes from the CCC with you and maybe there will even be some blogging adventure for all the Doristas in the future…who knows… (I kind of wish I knew a bit more about this project actually…). For now I am will continue to follow your blog and see where things are carrying you – I would not give this friendship up for anything! I am very grateful that you and Mary stepped in and kept things rolling along. Things were tough for a while, but you both helped “right the ship”. It has been a pleasure and honor to become friends with you both virtually and in real life. Clearly, I need to get to Boston more – having dinner with you the other night, it felt more like college roommates reuniting than a meeting of “blogging buddies”. Looking forward to what’s next – whatever that may be. Betsy, I echo the rest of the Doristas. Thank you for all the time and love you put into keeping FFwD afloat. I hope you don’t take that much of a step back while you figure out your next blogging projects. I can’t wait to see what that will be. I’m sure I’ll see you next time I am in Cambridge, or whenever the next Dorista meetup is planned. Such a lovely post, Betsy! Thank you for all the work you’ve done! I loved when you mentioned realizing that commenting on people’s posts wasn’t creepy. I felt the exact same way and still have to suspend that feelings every now and then. HA! I hope to meet you someday soon! A wonderful post, Betsy. I want to add my voice in thanking you for all the work you’ve done to keep this group afloat. You and Mary really helped to solidify our community. I was touched by your comment on my post – I’m glad to have been your first online friend. Your posts helped me to realize, early in the group, that it was possible (and not creepy at all) to make connections and friendships with people online. I hope that we can meet in person some day – I still feel sad I didn’t manage to make it to Seattle. If there’s ever another Dorista reunion, I will make a greater effort! I have loved reading this week’s posts. Yours was a beautiful one. Thank you, thank you for joining with Mary to organize everything week after week. This group has been a gift to all of us. I hope to keep up with you through CCC, and your other adventures. All the best. I’ve been thinking about the direction I want to take my blog in, too. So much depends upon whether I get authorized for an early retirement because I really want to explore all of the growers & producers in this area but I need time during the week to do it. I know you’ll think of something good. John & I will make it to Boston & we will let you know! I really hope you 2 make it back to CA when Mary’s out here next Spring. It’s been so much fun cooking along with you! I look forward to seeing what direction we all take with our blogs now that we have been set loose. Lovely closing remarks!